No matter who you may be, you want to make sure that you have a calendar at all times. The reason as to why you’ll need one is because you need to be able to keep track of important dates that hold great significance towards your personal or work life. You may also see Microsoft calendar templates. So, let’s say that you have a bunch of obligations that you have to make sure you’re able to meet within a weeks time. This will mean that you’ll need a calendar that will help you keep track of everything that you need to do within the week; thus being the reason why you’ll have to create a sample weekly calendar and this article will teach you how to create your own. Why is Creating Weekly Calendars Important? When you think about creating a calendar, then the main point of having one is so that you’ll be able to keep track of the current, previous, and future dates. By keeping track of these dates, you can make sure that you’ll be able to remember all the appointments you’ll have to attend, activities you have to conduct, bills you have to pay, etc. This is very useful for remembering these things means, you’ll be able to take care of all of your obligations, giving you that sense of satisfaction knowing that you didn’t miss out on anything important. 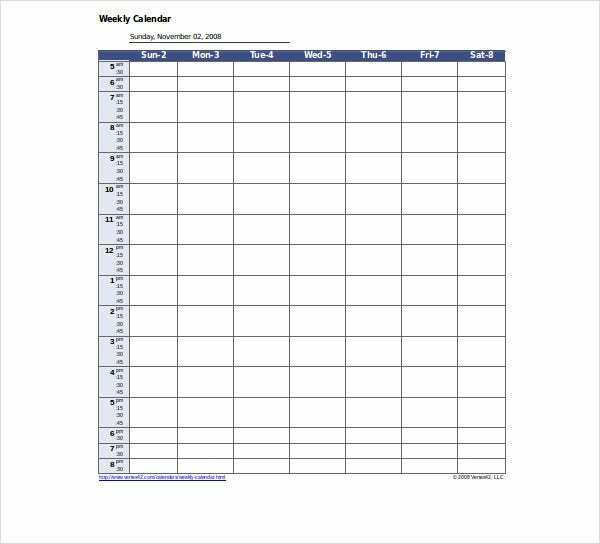 You may also like blank weekly calendar templates. Let’s say that you have upcoming bills that you have to pay this week and you are yet to gather the amount of money in order to pay them all off. By knowing when you have to pay these bills, you’ll be given the opportunity to prepare all the money you need before you make the necessary payments. Having a simple weekly calendar isn’t just limited to you remembering to pay your bills, but it can also be very useful for helping you prepare for obligations such as that test you need to study for or the fitness exercises that you need to do. Considering that you have a ton of things to do within a week’s time, there may be some obligations that are more important than the rest. Having a weekly calendar can help make sure that you finish these certain obligations first by putting them in a spot within the week where you can take care of them first; thus ensuring that you won’t have to worry about them any longer which will then allow you to take care of your other responsibilities. 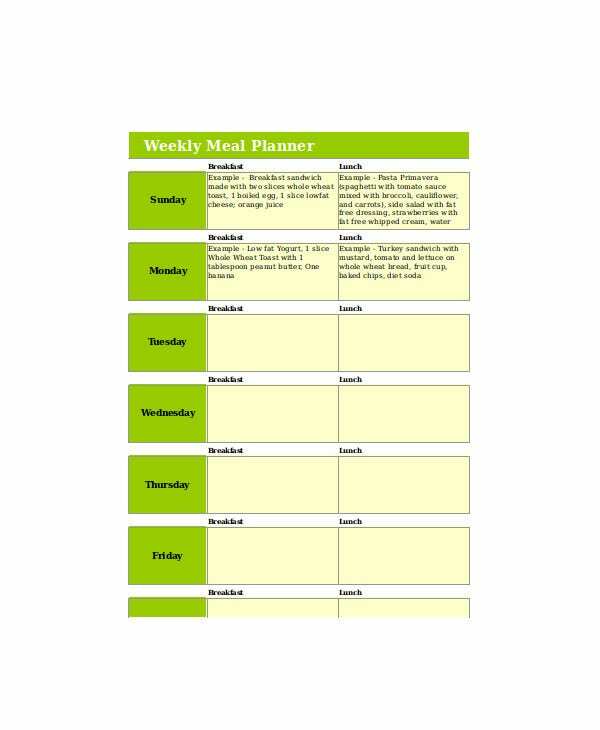 You may also like printable weekly calendar templates. 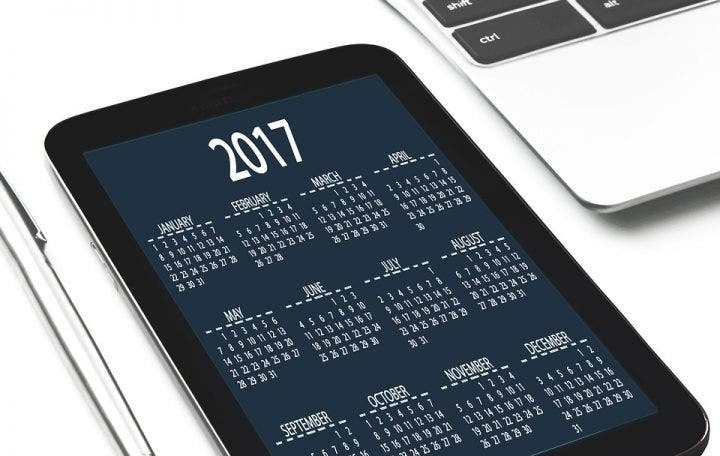 While calendars are the most helpful tools in the world when it comes to keeping track of the different dates within the year, the problem is that some people don’t know how to create them. So, here are the steps that you’ll need to follow in order for you to create your very own weekly calendar. The first thing that you will need to do is to download a spreadsheet program. 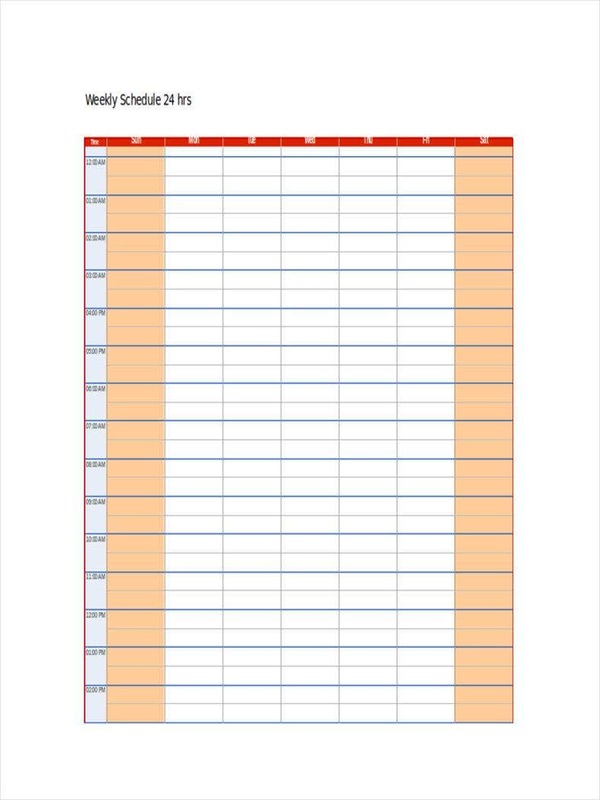 The best one that you could possibly use is Microsoft Excel as this contains all the options one needs to be able to make a proper weekly calendar. Once you’ve managed to download and install Microsoft Excel, the next step is to click on “File” and then select “New” to start creating your weekly calendar. Once you’ve clicked on “New” you will then see a search field where you can input text. What you want to do is type down the word “Calendar” into the search field which will then provide you with numerous results of all the different calendar templates that you can choose from. While you’ll see numerous options pop right in front of you, you should focus on finding the weekly calendar templates as those are the ones you want to make. 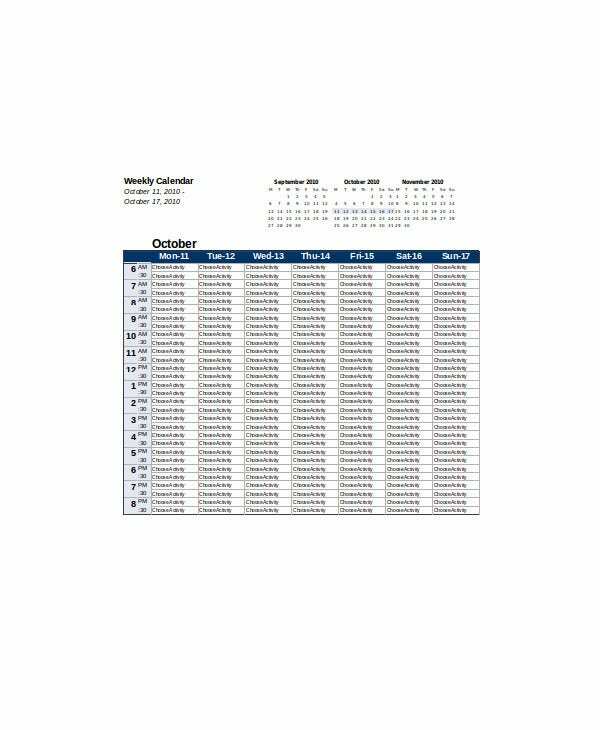 Once you’ve selected the type of weekly calendar template that you want to use, you should see a table on your right that consists of the calendar week, year, and the days of the week. The only thing that’s left for your you is to go through every single row and column and customize it to whatever appointments, errands or any kind of obligations you have to do within that particular week. After you’re finished, the only thing that you need to do is to save the file in a destination within your computer that you can easily access at any given point in time. It’s also best that you have an application on your phone which will allow you to access the file whenever as you’ll never know when you might need it. Now that you know how you should go about in creating your weekly calendar with Microsoft Excel, you should learn about the different types of weekly calendars that you can make. 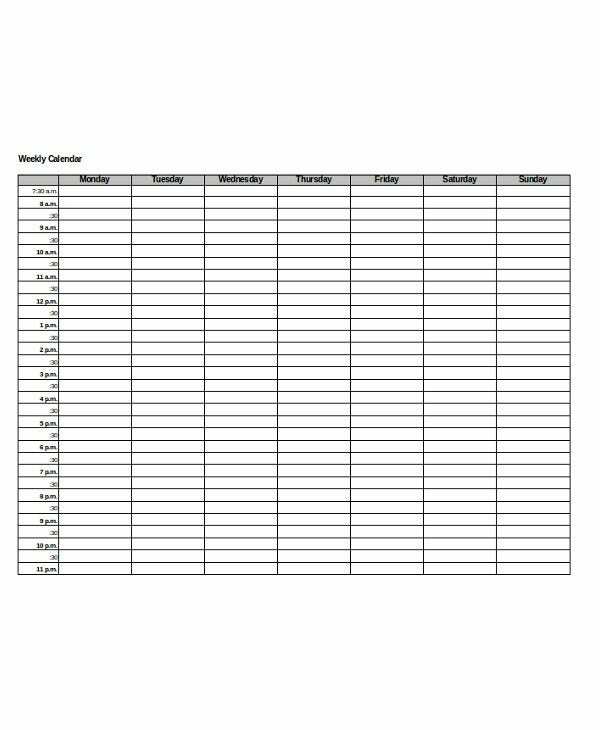 If you’re the type of person who wants to stay physically fit or if you’re required to participate in physical activities due to certain conditions, then having a weekly fitness calendar will definitely help. It can guarantee that you’ll be able to keep track of all the different types of fitness activities you’ll need to perform within a week’s time, as well as ensuring that you’re able to do all of these activities. This is especially useful for those who frequent the gym or any fitness establishment as the calendar will prevent people from doing the same routine over and over again. It should be pretty obvious that those who tend to benefit from this type of weekly calendar would have to be students. 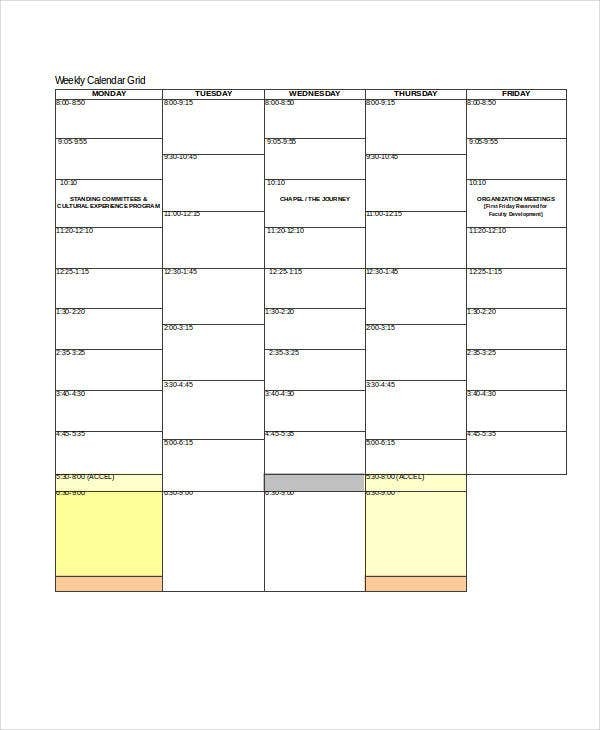 For those who decide to create and use weekly study calendars, they’ll be able to know what subjects within the week they’ll have to take, as well as knowing what kind of subjects they’ll need to study as well as the amount of time that they have to dedicate towards a particular subject. 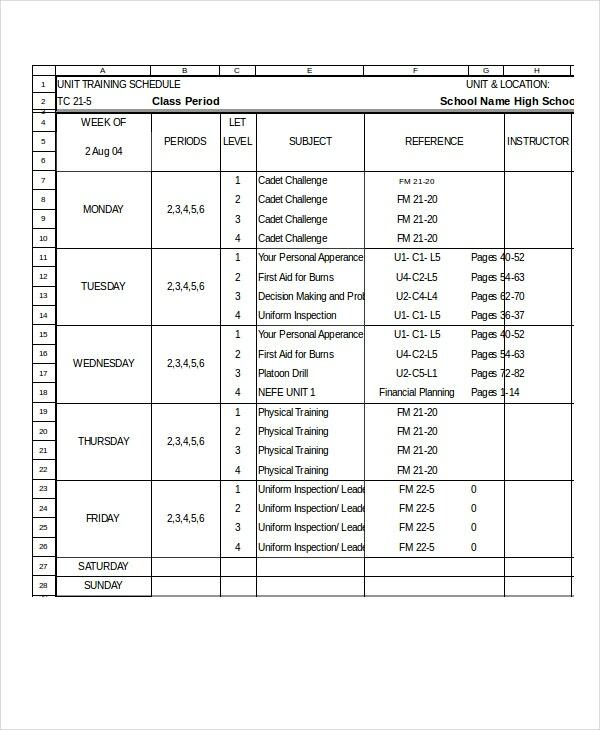 It’s not just helpful for knowing what needs to be studied, but it can also be used to determine if there’s a test or activity that the student has to prepare for, so having this type of weekly calendar is really useful (assuming that you’re still in school). Every person has bills to pay, but the problem is that most people don’t know how to keep track whatever payments that need to be made; which then leads to financial problems that could ruin them and their simple business. This is why you’ll need to create weekly bills calendar so that you’ll be able to know what bills you have to pay and when you have to pay them; allowing you to avoid any unpaid debts and preventing you from getting into serious financial trouble. If you can, make use of an automated calendar that will notify you of your upcoming bill payments, ensuring that you don’t forget to pay them. As a part of the working community, there’s no doubt that you’ll be having several appointments that you’ll be obligated to participate in. But there’s always that problem where you might miss these appointments as you may end up forgetting about them entirely. To prevent that from happening, you’ll need to create your very own weekly appointment calendars. This will help guarantee that you remember all the appointments you’ve made within the week, as well as ensuring that you’re able to attend every single one of them or at least give you the chance to cancel any of these appointments well ahead of time if the need arises. If you’re part of the management team within a company, then you know just how important it is to learn about your employees and their different shifts. You want to make sure which of your employees should be coming to work, the time they’re coming at and the employees who have their time off. This is why you’ll need the help of weekly shift or work calendars as it will give you all of the information you need regarding which employees are taking part in a shift and who isn’t. Also, this is a very useful tool in the event that your employees have to miss work. By knowing their shifts ahead of time, they can give you reasons as to why they cannot participate in a shift, as well as giving you a good amount of time to find a proper replacement. If you would like to learn more about how to create weekly calendars or how you should go about in creating other types of calendars, then all you have to do is go through our site, find the articles you need, and utilize the information you’ve been able to gather to help you with whatever you require.